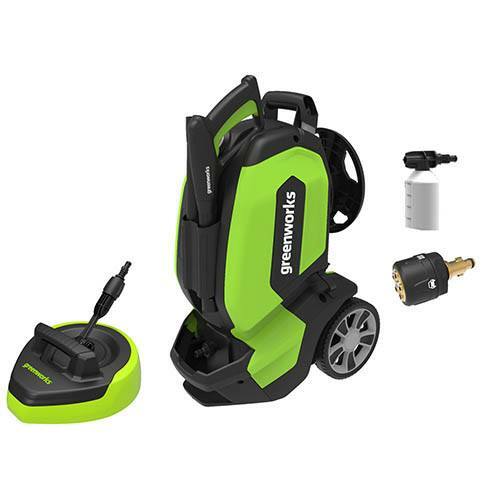 Greenworks best performing, 180 bar, compact pressure washer. It is lightweight and equipped with Smart Response Technology which increases the water flow up to 50%. It benefits from an aluminium pump head with stainless steel pistons for longer pump life. It has foam and rotary nozzles to aid stubborn dirt removal. The machine has and anti-drill and quick release coupling on the spray gun.